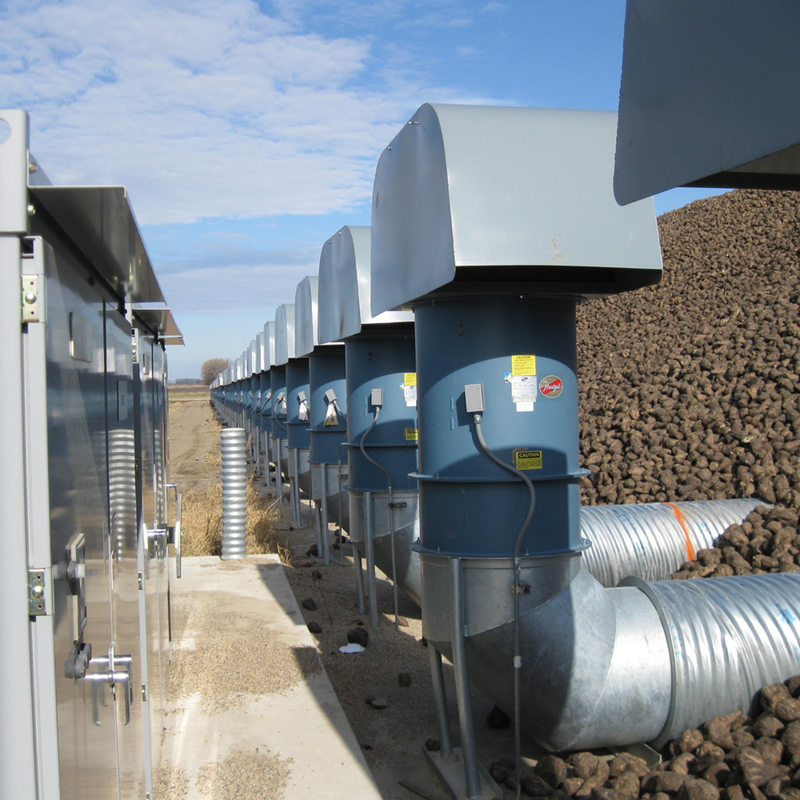 Cutting-edge hardware & easy-to-operate software monitor temps within sugar beet storage piles and automatically control ventilation fans to keep things cool. Keep your cool with Kahler Automation sugar beet temperature controls. Sugar beet growers and processors know that once the crop has been lifted, they’re still months away from a successful harvest. If proper temperatures within the piles aren’t maintained and respiration halted, the result of spoilage can be devastating. Kahler Automation has been working with the sugar beet industry for more than 20 years, developing advanced, automated controls for processors. Our systems combine cutting-edge hardware and easy-to-operate software to monitor temperatures within storage piles and then automatically control ventilation fans to help maintain optimal conditions. Probes are “spiked” 4’ deep in a 50’ grid across the top of a beet pile. The probe tip takes a temperature reading every few minutes. A transmitter on each probe head sends data to one of several nearby repeaters, which pass the data to a central gateway; real-time data is available remotely via computer or tablet. Probe data, ambient air temp readings & operator-controlled setpoints are combined to automatically control individual ventilation tube fans, keeping beets at just the right temperature. 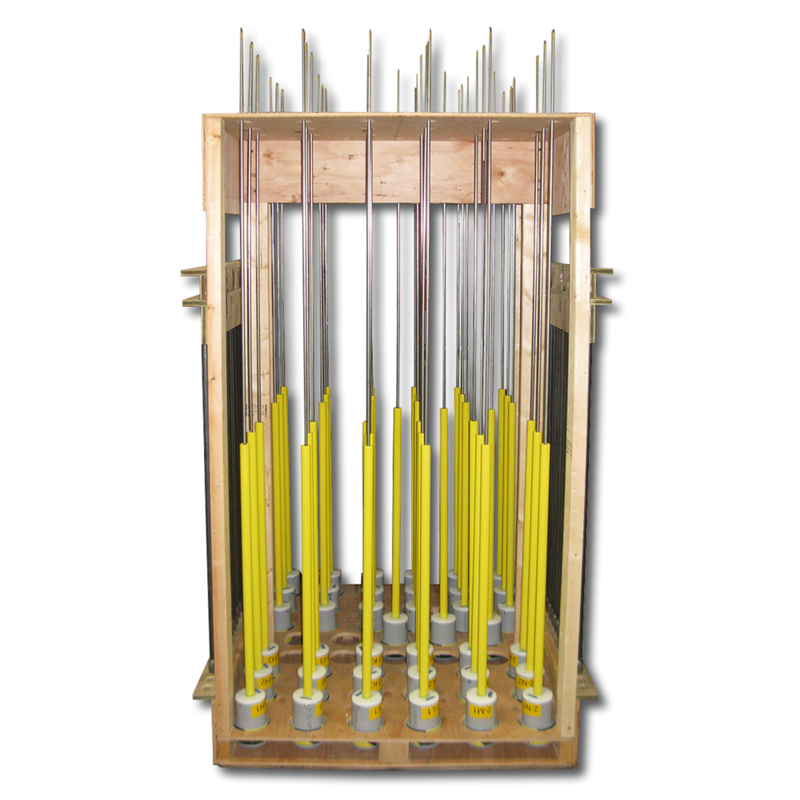 Each probe has a unique identifier, offering precision cooling control over exactly where any temperature concern may arise in a beet pile.